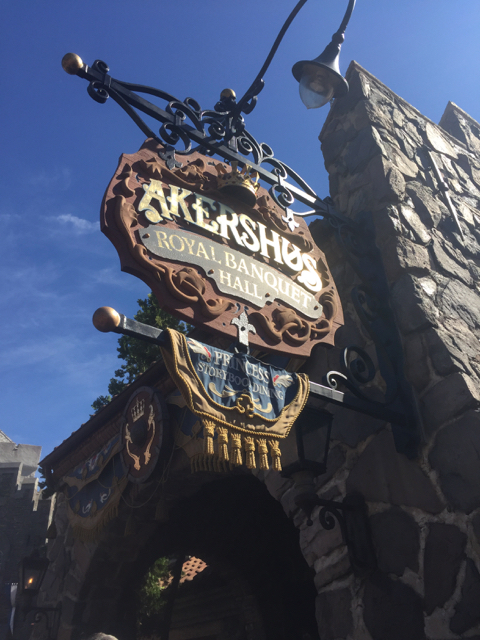 Akershus Royal Banquet Hall has been on our list to try for awhile. We even had a reservation to go on one of our trips last year, but decided to cancel a few days before because we weren't sure about the whole character dining aspect. To some extent, I am glad we saved it for this trip as at least we had one person into the princesses/characters, but I also kind of wish we had already done this place and realized it isn't worth it when it was just us and done something different (i.e. at least cheaper and likely much better experience) for our larger family trip. The main thing that appealed to us about Akershus is the Norwegian inspired menu. It didn't really disappoint in this regard, especially for the meatball lovers. However, I had thought it was entirely a buffet and it was only the appetizers that were. This didn't bother us so much except that it was fixed price per person and then dessert was a specific trio of desserts for the table rather than each ordering your own or a buffet. We were mainly disappointed in Akershus because there wasn't much of a character experience, which was why we had chosen to even do this restaurant after we took too long to plan dining and couldn't do the character breakfast we wanted. There are several princesses that come by, so the number of characters is nice. However, they seemed to be in a rush and there was barely time to have them sign the autograph book and take a photo with the kid. Thus, by the time the kid got used to the concept they were already done. All other places we've done the character dining with her, the characters came around more than once. I kind of remember this was the same way the time Mik, my Dad, and I ate at Cinderella Royal Table, but at least there you have a fun castle atmosphere and we had service. 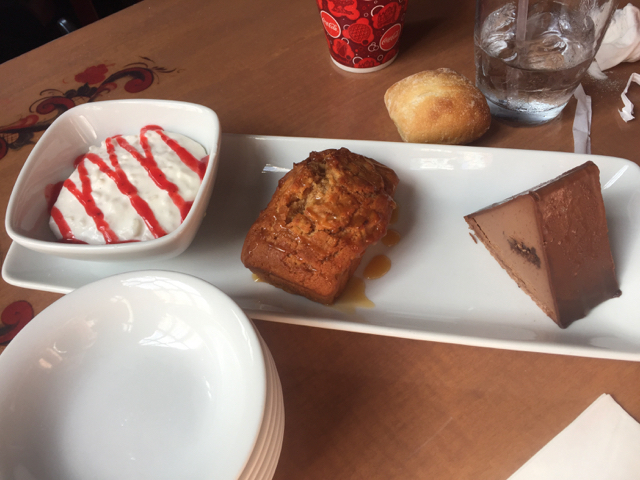 One of the reasons we did not like Akershus was the price. We knew that going in it would be expensive, but somewhere I had gotten in my head that lunch was never more than $50 and it was $57 per person (at least that was before the annual pass discount). The price wouldn't have really bothered us if at the same time we had gotten the character experience we expected (or even just some attentive service...never saw waiter after ordering until they were trying to rush us to finish and clear the table at end, so drinks never got refilled, and they force you to pay 18% gratuity for nothing). Add to all that, they squeezed way too many tables into the space that it is almost impossible to even dine there with Mik. In order to get him into the table I had to lift and slide the chair sideways up to his spot. It wouldn't have been too bad if it was a regular table dining experience, but since there is a buffet aspect it was extremely annoying to get out around him (and almost impossible). This was the only reason we were glad the whole meal wasn't a buffet, but then we kind of wish none of it was. Bottom line is I better just book that character breakfast six months out next year. Also, for princesses, Mik and I recommend Cinderella Royal Table over this. 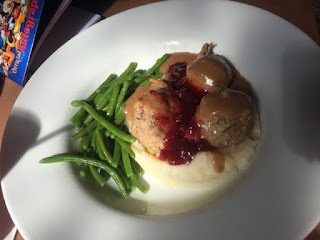 I don't remember the food being anything special and we had the characters skip us, but we still really enjoyed that dining experience simply for the castle atmosphere.